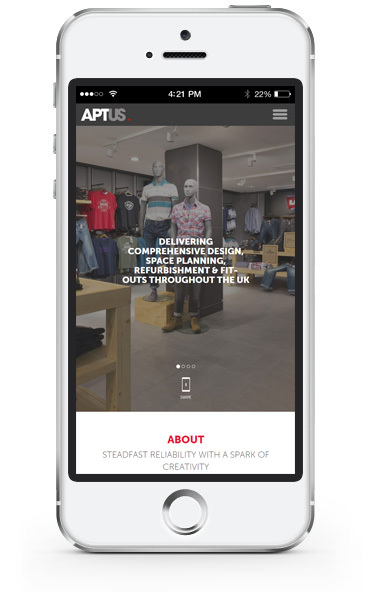 An existing client of ours, Aptus are a design-led shop and office fitting company operating throughout the UK for brands like Levis and LUSH. 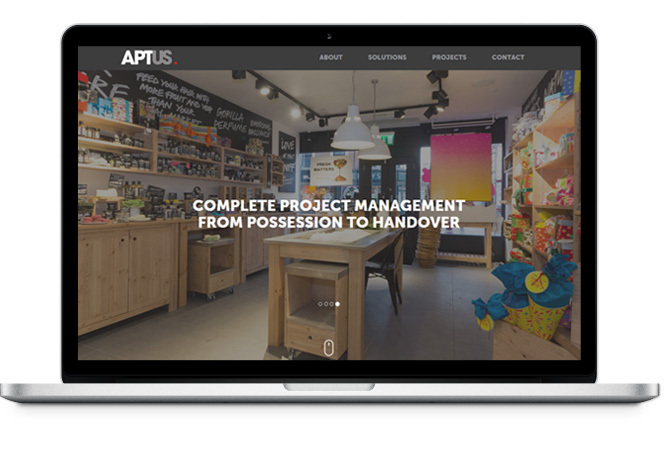 The brief was re-design the site with mobile and tablet users in mind first and foremost, but also to look great on desktop and laptop, filling the screen with photography from recent projects across all of their sectors. Since we have already gained valuable search engine rankings on Google, we were asked to increase the scope of search terms across more of their services and sectors to generate even more enquiries and leads. There's also a great time-lapse video 'How to build a LUSH Spa'.